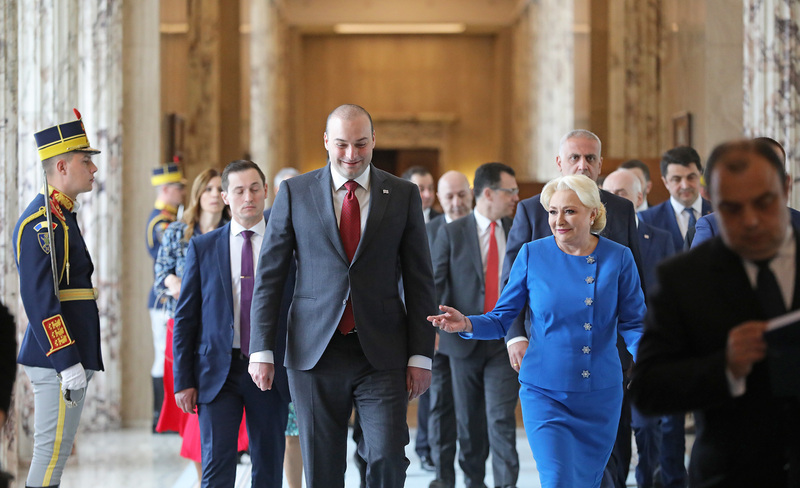 An official welcoming ceremony was held today at the Government Palace in honor of Georgian Prime Minister Mamuka Bakhtadze. 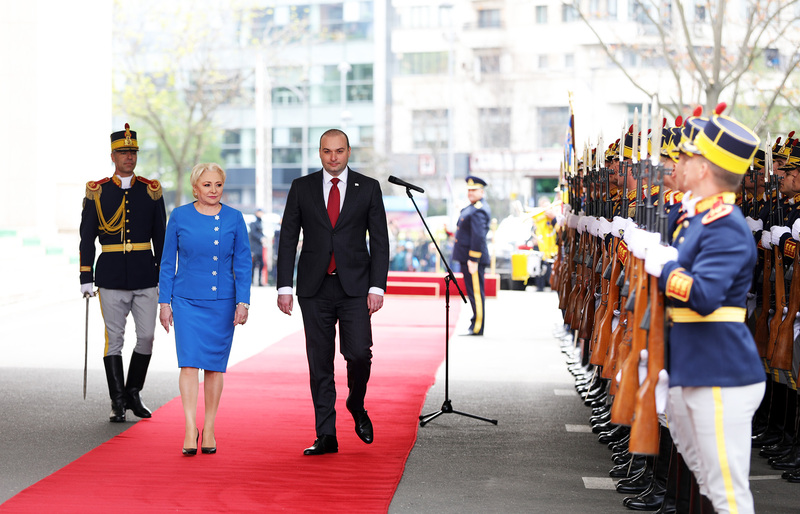 As part of his official visit, Mamuka Bakhtadze was hosted by his Romanian counterpart, Vasilica Viorica Dăncilă. The anthems of the two countries were performed. The Prime Ministers introduced each other top their respective delegations.